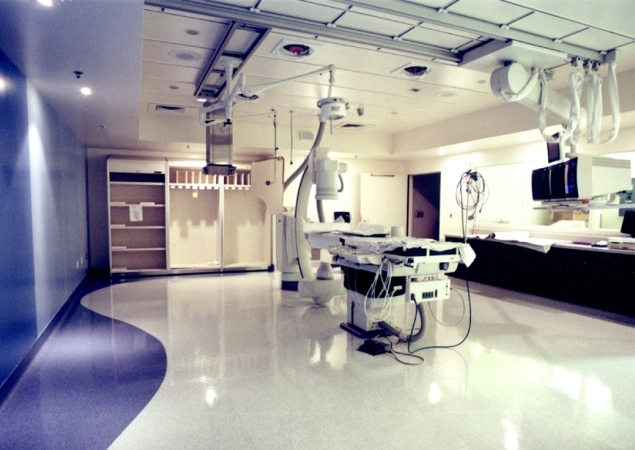 This project encompasses Phase 1 of a three Cath Lab Suite remodel. The challenge was to convert a crowded, deficient space into a fully equipped, high tech O.R., with a more open feel. Color and specialty lighting help to create a soothing distraction for patients. 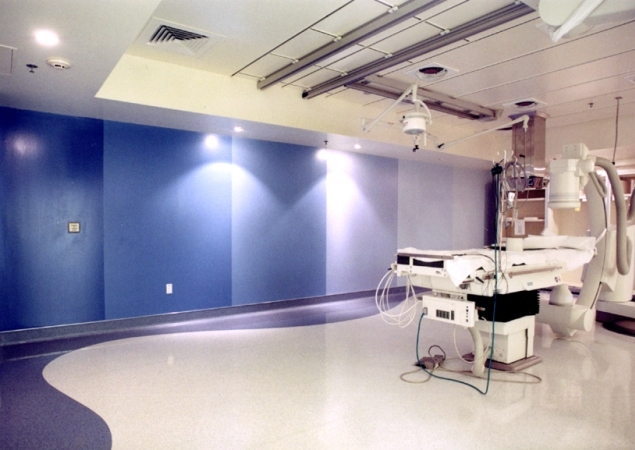 The lab design features a 30-foot wall and floor with a blue wave design, highlighted by soft decorative lighting. The suite also has state-of-the-art procedure lighting and streamlined, overhead equipment. 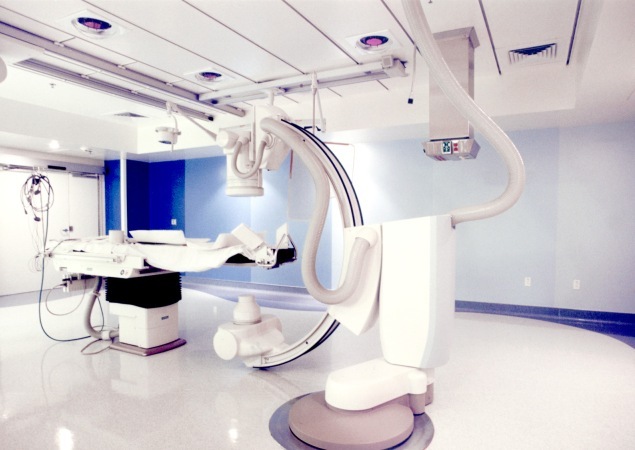 The next phases of the Cath Lab remodel will provide a multi-purpose Hybrid Suite in which both non-invasive and surgical procedures can be performed, as well as bi-plane X-Rays. The new labs will offer the most advanced diagnostic and treatment hardware, software, and monitor screen technology.